Today’s consumers and business buyers are highly tech savvy and dependent on mobile devices to perform many day to day activities — including paying bills. No longer only a consumer-focused payment channel, mobile payments are proliferating within B2B receivables at a staggering pace. 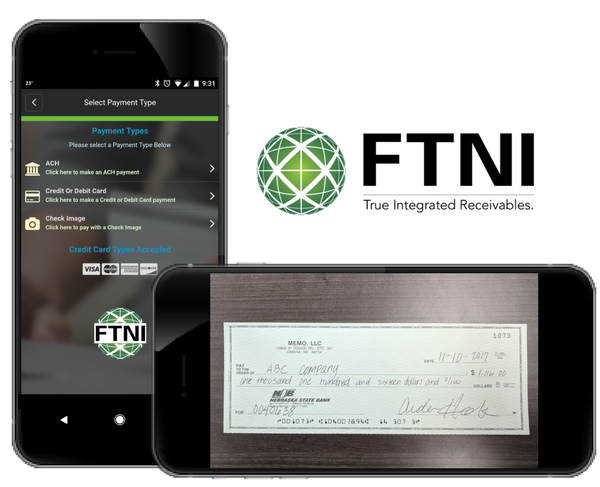 FTNI’s ETran Mobile solution provides an easy and efficient way for your employees to securely accept check, ACH and credit card payments in the field while also simplifying your back end operations by processing and posting all mobile payments from a single platform. Unlock the power of mobile payments within your existing accounts receivables operations by adding the ability to accept mobile remote deposit capture (mRDC), ACH, credit or debit card payments securely, via a white-labeled stand-alone app, or by integrating a payment component into your existing iOS or Android mobile application. 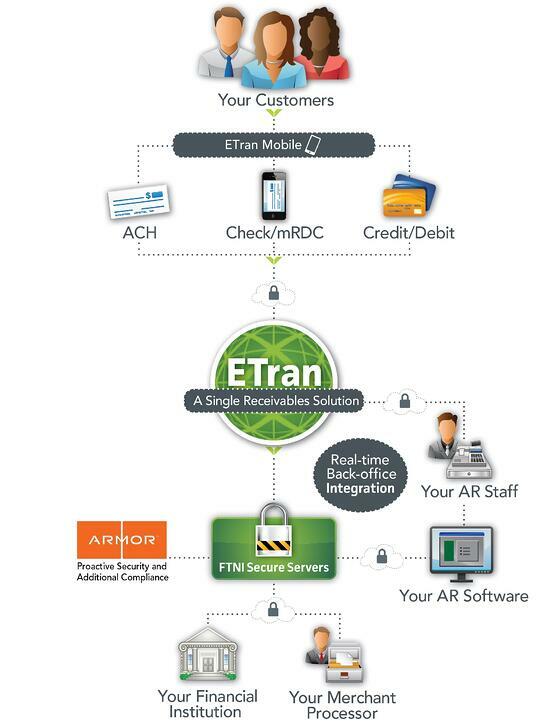 With ETran Mobile, your company benefits from the flexibility of a modular, bank and merchant processor agnostic platform, as well as seamless integrations (batch or real-time) with popular accounting software and other back-office systems. By leveraging your current, unique business processes and workflows, ETran Mobile increases efficiency and improves adoption for your employees and customers. By streamlining your in-person, paper-based receivables processes and management through mobile invoice presentment and payment, you benefit from reduced costs and faster payments. Your customers benefit from a more secure, simplified payment experience. Learn How a Top-Ten U.S. Foodservice Distributor is Leveraging Mobile Remote Deposit Capture and EBPP/EIPP to Significantly Streamline AR Operations and Decrease DSO. Today's digital world is rife with threats and risks, especially in the ever-evolving mobile marketplace. FTNI takes mobile security seriously. ETran's cloud-based architecture gives you the added benefit of multiple layers of compliance and proactive security. You — and your customers — will benefit from PCI DSS Level 1 and HIPAA compliance at the ETran application layer, as well as an additional level of proactive security and compliance (PCI, HITRUST/HIPAA, SSAE16 and more) from our secure cloud hosting partner, Armor. 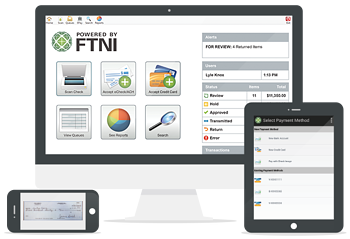 With ETran by FTNI, you can rest assured that your customers' payment information is highly secure and fully-compliant, so you can focus on what matters most — delighting your customers and growing your business.